Warm spring days bring wildflowers, baby critters and snowmelt in the high country. This means runoff filling the Arkansas River and pushing water flows to levels that make it difficult for boating. Colorado Parks and Wildlife's Andrew Maddox, river ranger supervisor at the Arkansas Headwaters Recreation Area (AHRA), offers important tips for safely enjoying the runoff and the rapids the high water creates. The first thing to do before launching a kayak or raft in the Arkansas, Maddox said, is to check the water flows and match the levels with your boating ability. If you just got your kayak for Christmas and are not proficient at a combat roll, or uprighting yourself if you flip over, then you might want to postpone your trip. Another important tip is to always boat with a partner. Maddox highly recommends wearing a Personal Flotation Device (PFD), or "life jacket" as they are commonly known, when going boating. A PFD is recommended even when you are simply fishing or spending time near the river. Wearing a helmet is a responsible idea. too. "High water can be a very exciting and fun time to be on the water and many experienced boaters wait eagerly for this time of year," Maddox said. "Things can go wrong quickly, though, especially when boaters are not prepared or don't have the required skills." Boaters encounter everything from roaring Class IV and V rapids to gentler Class II and III stretches of water, which are ideal for the less-experienced boaters. "Boaters need to research the current conditions," Maddox said. "And they shouldn't hesitate to contact a commercial outfitter to take them down the river if they are at all concerned." 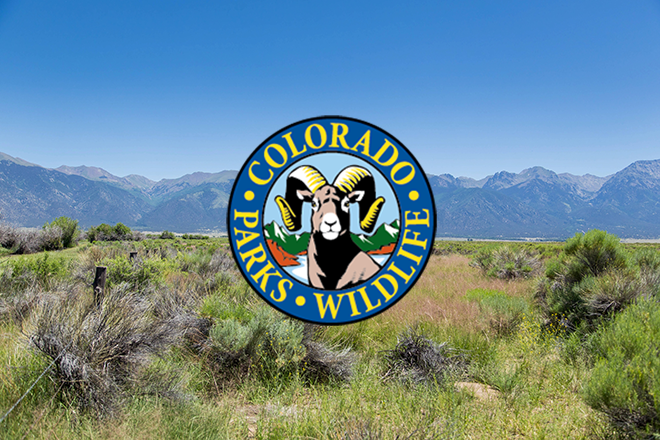 This is important information for the thousands who annually challenge the Arkansas' 152 mild-to-wild miles from Leadville, through Browns Canyon National Monument and Safety is always a priority when recreating within the AHRA. If you are not familiar with the Arkansas River or current conditions, please contact the AHRA Visitor Center in Salida at 719-539-7289, or call a local river outfitter. The Arkansas Headwaters is recognized as one of the nation's most popular locations for whitewater rafting and kayaking on the Arkansas River - the most commercially rafted river in the U.S. - and is noted for its world class fishery, which provides an excellent opportunity for anglers to test their skills at catching brown and rainbow trout. AHRA visitors also enjoy camping, hiking, picnicking, wildlife watching, mountain biking, rock climbing, and even gold panning along the river's shores, deep canyons, broad valleys and towering mountain peaks found within the upper Arkansas River valley.